And it is important to note this is merely a 12 week window in the journey of all these women. They all have a much bigger story to tell. 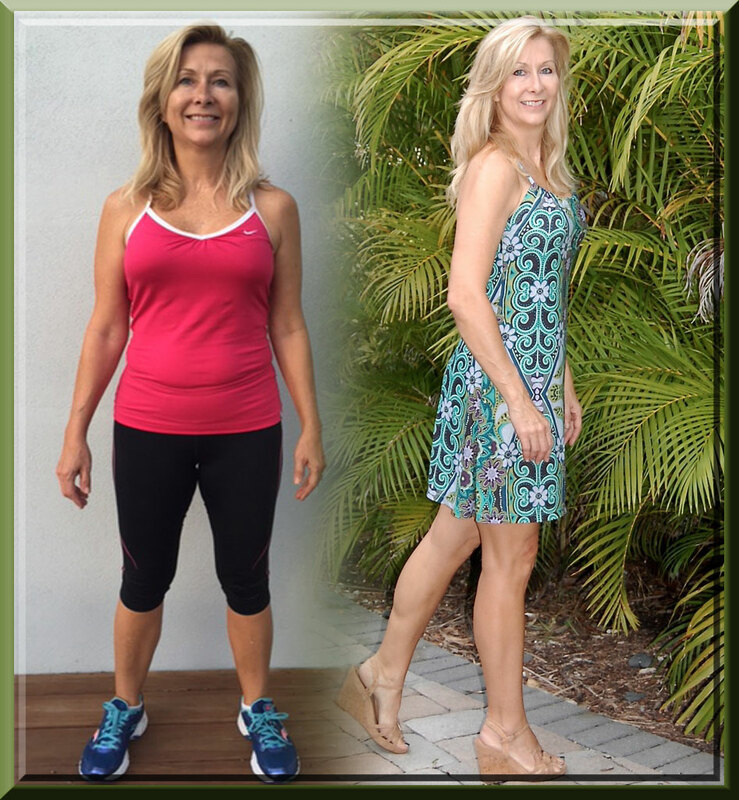 Tina’s weight ballooned up during her time becoming depressed and medications that hindered her ability to understand hunger or the ability to feel full. Venus has helped her learn about the awareness of food and portion sizes. We did something special for our tenth place this time like we did for VT17. Tina is a Venus who has lost 100 pounds and was willing to share her story with you. She gets the Venus Immersion lifetime subscription for her prize. Next we have our cover model winners. The neat thing about these ladies is they are previous contest winners who are proving that this lifestyle is something you can keep for life. It’s not just a 12 week contest, it’s a lifestyle. It takes a while to learn, but it can be done! We will be contacting all of these ladies to see if they want to share their story and possibly do an interview. Many of our successful clients decide to invest in one on one coaching. You are welcome to choose which coach you would like to work with. 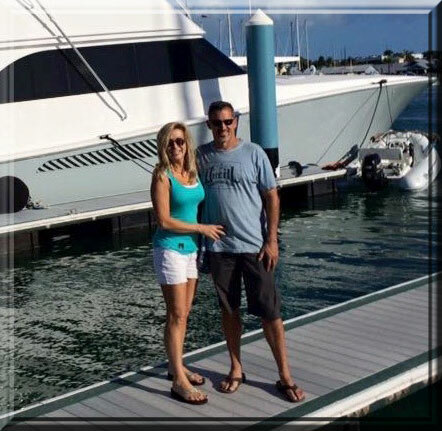 Our premium coaching program works for many! 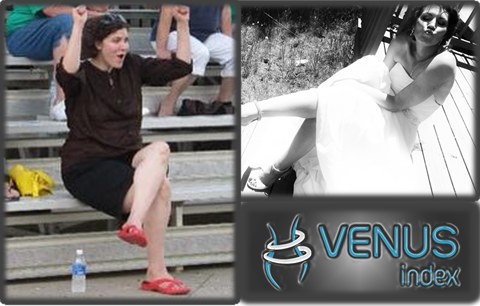 Contest winner Andrea talks about what coaching did for her in her Venus podcast. 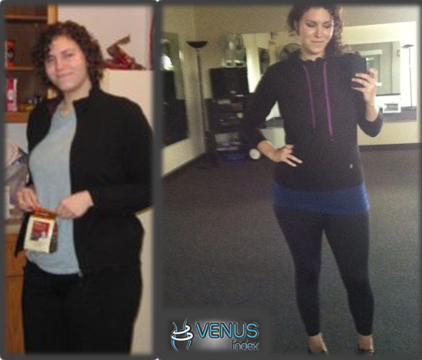 Keturah has been using Venus systems for over 5 years! 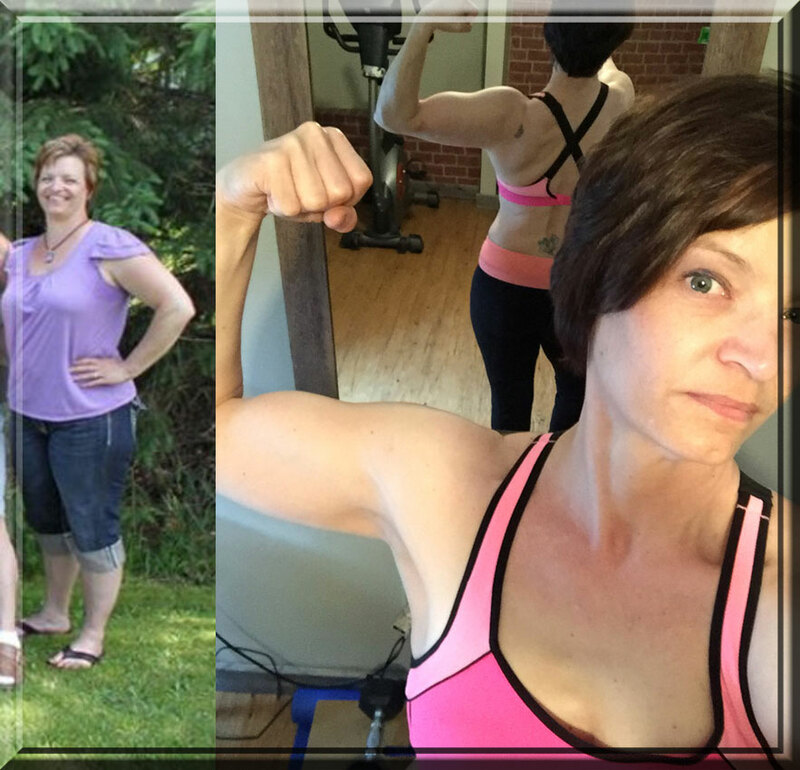 Her transformation stretches out further than a 12 week period though, she has lost over ONE HUNDRED pounds! Maintenance is something you don’t hear much about. 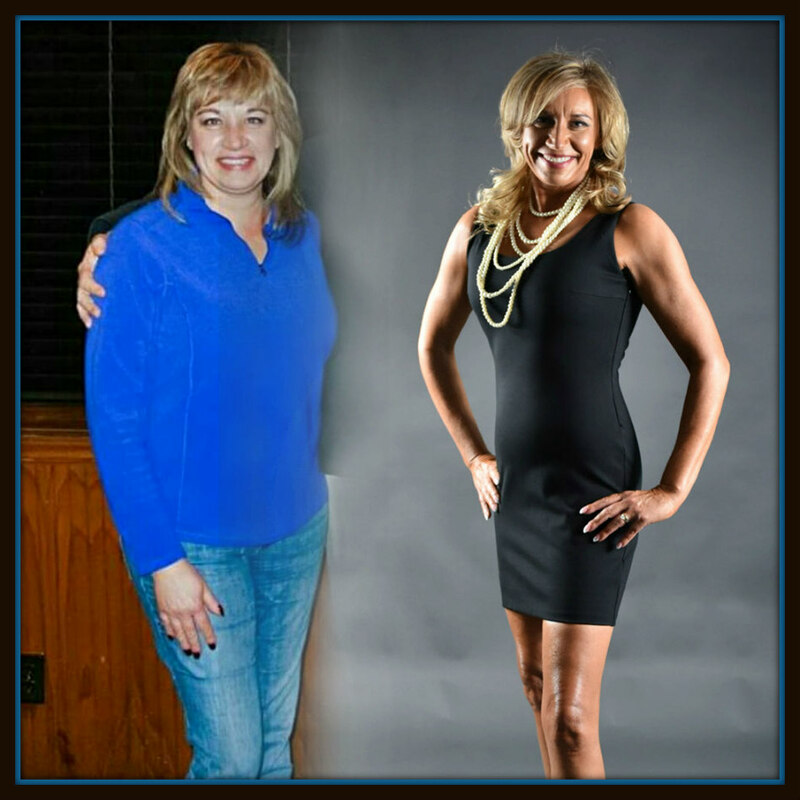 The fitness world is full of shiny before and after photos with big shiny smiles to match. What no one seems to talk about is the daily practice of life. There are some things that set apart maintenance from deficit. Let’s focus on what comprises this brave new world. I recently reread some of my old blog posts. It was such a wise voice, and it was speaking to me now. (The value of listening to ourselves is great!) First, let me level with you: I am no different than anyone else. Fear creeps in. Old thought patterns start repeating. Fear of rebound weight gain. Fear of not being able to do it. Fear of looking too thin. Fear of people being negative. Fear of not maintaining it for life. Fear of disordered eating. Fear of putting my value in my looks, and not in who I AM INSIDE. I think the last argument “Fear of putting my value in my looks, and not in who I AM INSIDE” is especially real. It’s a fear that many women deal with in our current culture. I’ve come to realize that while weight, size, shape, and body shape are not my source of identity, being overweight and unhappy with my body can be a road block to feeling good about myself. My insecurity about my body, the shame and guilt I have felt in being overweight: it was real. Learning that I could change that was empowering. But also learning that my body doesn’t define me is a mindset that has taken longer to sink in and takes daily practice.Value where you are at NOW. Comparison is the thief of joy. We all know that popular quote. Sometimes the comparison isn’t with other people, it’s with ourselves. We can lose a lot of joy comparing ourselves to the past or even to perhaps unrealistic goals and standards. Maybe right now it tough and you don’t particularly feel joy. That’s okay. I am learning to ask myself questions. Why am I feeling this way? I keep asking why. Doing this helps me get to the root of lingering insecurities or issues. I also find out that what scares me is usually not as huge as I’ve made it in my head. We think this journey of self introspection disappears when we enter maintenance mode. It doesn’t. If anything, it began a new season of asking questions, dealing with some old triggers, and learning to trust ourselves in new ways during new seasons and situations. Which is why we also need to work on habits. Fear can hold us hostage and make us freak out! But the truth is, it’s about choices, not fears. I choose to be healthy. I choose to eat supportive foods that will help my Hashimoto’s autoimmune disease and fibromyalgia. 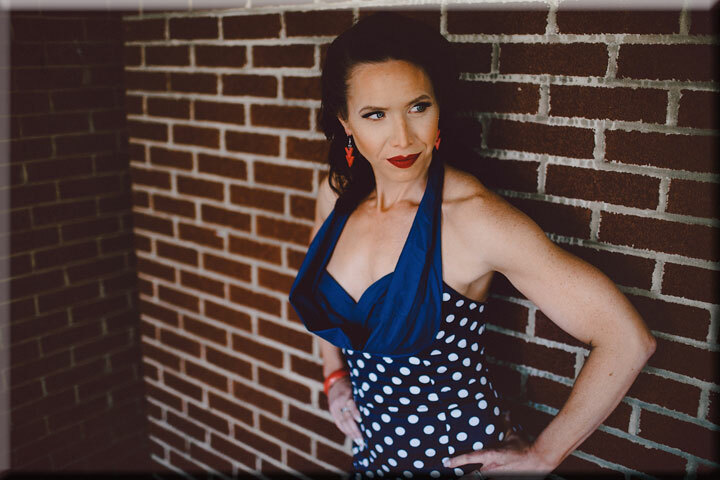 I choose to lift weights so I’m strong, lean, slender, and pain-free. I choose to walk to have head space, time to think, reflect, and enjoy the outdoors. I choose to stretch to be flexible, limber, and feel good. I choose to be at peace with my body and take steps that will enable me to continue being Venus for life. Maintenance is not automatic. It is about daily choices, habits and goals. This isn’t glamorous. Habits are choices we make and continue making everyday. I can choose to say “no” to fear and listen to the truth. I can choose not to let my circumstances and past, worries about the future, and other things define me, but to take a step forward and embrace the present, choose joy, and keep stepping forward up the mountain. I liken maintenance to keeping the house neat, or perhaps tending the garden after the plants have started growing. If you let the little things go–laundry and dishes pile up, floors need swept, garbage overflowing, weeds growing wild–pretty soon the place is a disaster needing a complete cleaning and overhaul. Some daily tidying and daily weeding would have kept those things from happening. Some days we let things go. It’s about attending to the dishes before the pile gets too big. Or put it this way: it’s paying of the credit card bill at the end of the month instead of letting it stack up for a couple of years until it becomes a mountain of debt! The habits you begin and consistently choose and practice will be habits that keep you going, even if they change in form. 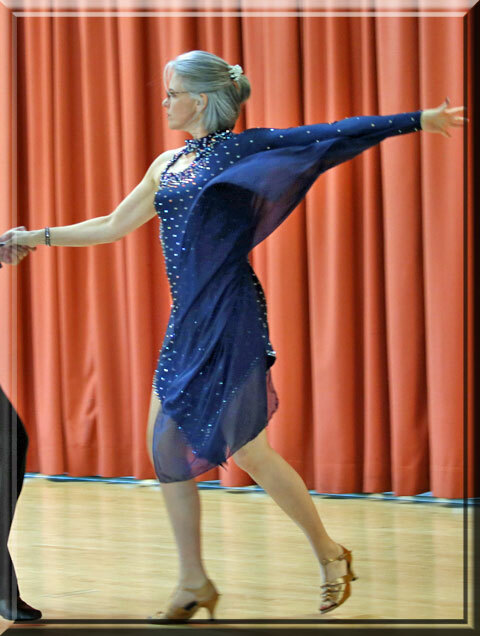 My daily habits are movement (for me that’s resistance training, flexibility, and walking); including protein and either fruit or vegetables at most meals; good rest; hobbies I love (makeup, knitting, and reading are just a few!) and relaxing with my husband on the weekends. I am learning to balance my meals and intake. If we go out on a brewery tour I will enjoy a burger and beer. The next meal or day, I have my coffee but enjoy water, fruit, salad, and some light protein for the rest of the meals. There is no punishment, no reproach. No starvation, no forcing of food. I just listen to myself. Maintenance is the season I have really learned to enjoy living life and how to be flexible. 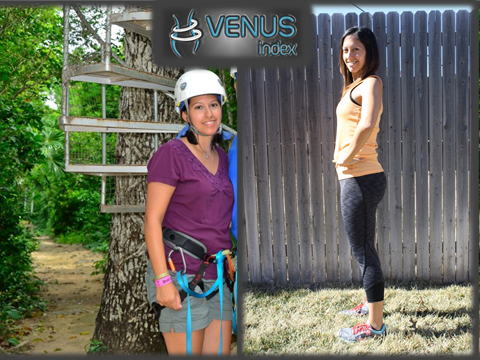 Shortly after reaching my Venus metrics a couple years ago, I was still in “get competition lean” mode. It took a couple months for me to realize I wasn’t really getting anywhere with all my hard work and was frustrated. Mostly, it was mental. I decided to do something crazy. I stopped trying so dang hard to reach smaller metrics, body goals, and all the other stuff I deemed necessary to joy. Instead, I let go. 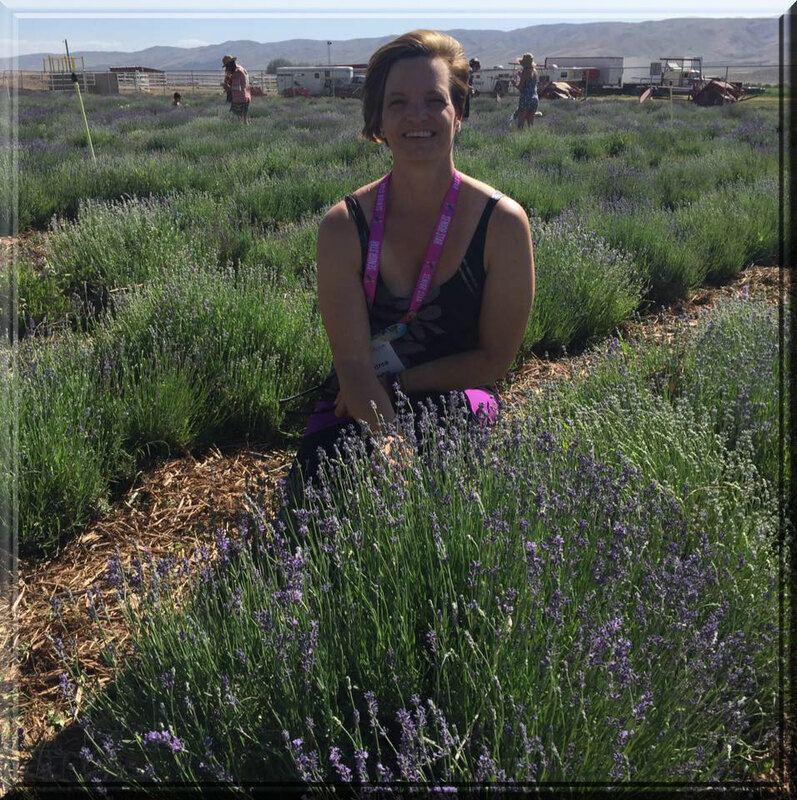 I began listening to my body, doing what felt both right and good, and relaxing about the rest. It was, and still is, the very best thing for me. I learned another lesson in trusting myself. There is absolutely nothing wrong with getting competition lean. But it’s a season, and for many it isn’t a season that can be stretched out for indefinite periods of time. Sometimes we have to count the cost. The cost at the time wasn’t best for me. There is also adaptive components to maintenance. 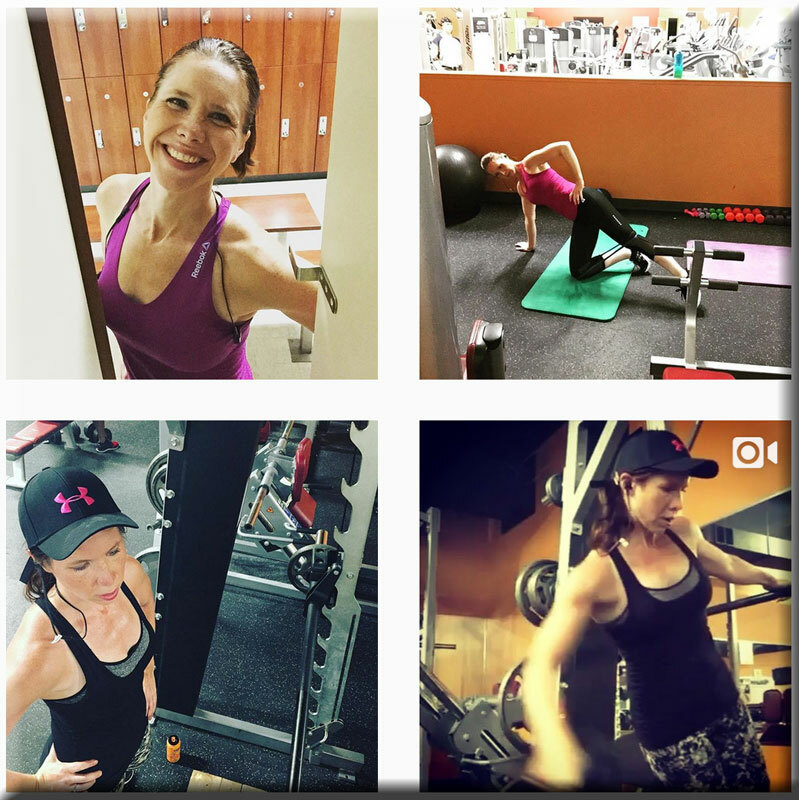 I am learning to change up my routine or my workout when I feel unmotivated about workouts. There are also life changes that require workouts changes. My husband and I recently relocated 2300 miles, from mountain life to ocean life. While I had spent the last couple years lifting heavy weights at the gym, I was suddenly faced with a new challenge. There was no gym and our new home didn’t have space for heavy weights. At first, I was frustrated. What was I going to do now? I quickly realized my new life change meant a change in my training. This wasn’t an easy change at first. The first few weeks of no gym I had a lot of anxiety! Heavy weightlifting had become a security blanket and it was time to put it away for a while. Without access to the barbell rack, I’ve had a chance to work on some old gymnastic training, flexibility, and explore other workouts–areas I neglected for years, and that I really missed doing. Honestly, maintenance is about learning to live from out truest, healthiest selves. The main focus of fat loss phase is so you can make changes in your body and, most importantly and what gets left out by a lot of people, live life with new lifelong habits, and keeping Venus tools for when you do let the house go and need to whip it back into shape. You learn to listen to yourself, learn what works best for you, what is sustainable, what is joyful. You learn balance. Maintenance is choosing to be Venus for LIFE. Cindy looked good before but she knew in her heart she could do better. 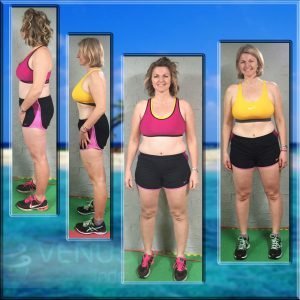 Does it matter what everyone else thinks when you KNOW you will feel better without that last pesky 5-10 pounds? No, it’s your choice. It’s your body. You get to own it and you can do it! My experience with the Venus Experience I really don’t remember how I found Venus. It could have been through Facebook or a Google search. That was in October 2014. I read the program and first thought that eating 1000 calories a day was just crazy. It went against everything that I thought I knew. And working out while fasting? No way I could do that! And I felt like I knew what to do to eat healthy and work out. I read a lot and do a lot of research. I thought I knew it all! 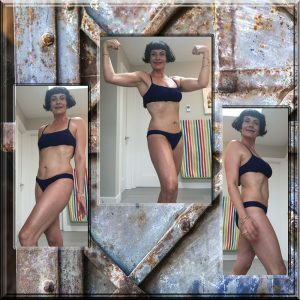 I am 53 years old and have always worked out. Years ago it was Jazzercise. Since then, I’ve done Insanity, P90X, and joined a gym. I’ve lifted weights, done HIIT, hot yoga, you name it, I did it. I enjoy working out, that’s never been a problem. Most people would probably say that I was in pretty good shape. However, I had been hovering around 135 pounds, no matter what I did. I know that’s not overweight and some people would be happy at that weight. But I’m 5’5 and am small boned, and always wanted to lose at least 10 pounds. 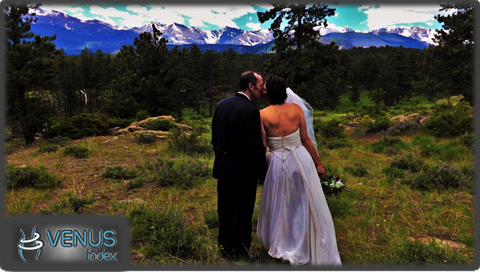 One day, a friend of mine stated that he thought he and his wife look pretty darn good considering they don’t work out. At all. I took that to mean that they don’t look that different that me, who works out 4-5 days a week! And I eat healthy! Organic! Gluten and dairy free! I should look REALLY good for all the hard work I put it! Fast forward to summer 2015. Again, I was unhappy that with all my working out, I still was at 135-138 pounds. 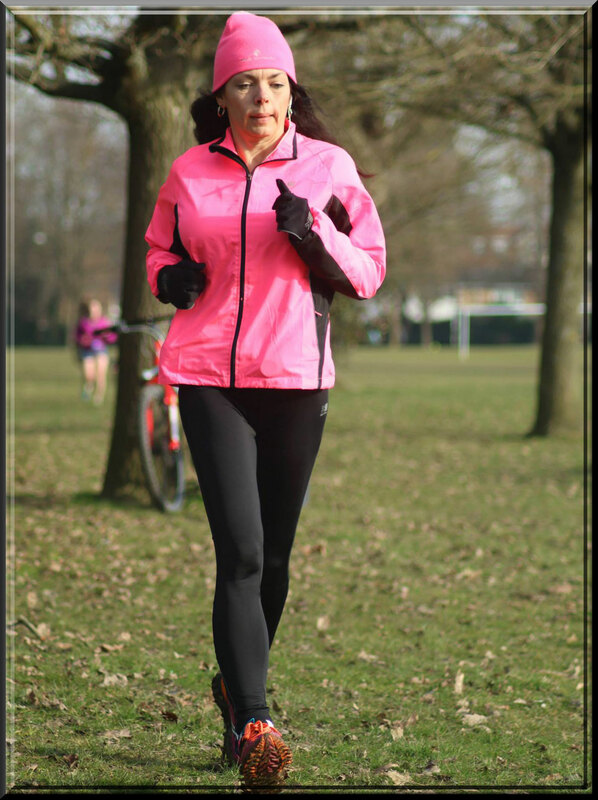 I kept thinking – it must be hormones, or my thyroid, I had half my thyroid surgically removed in July 2013. 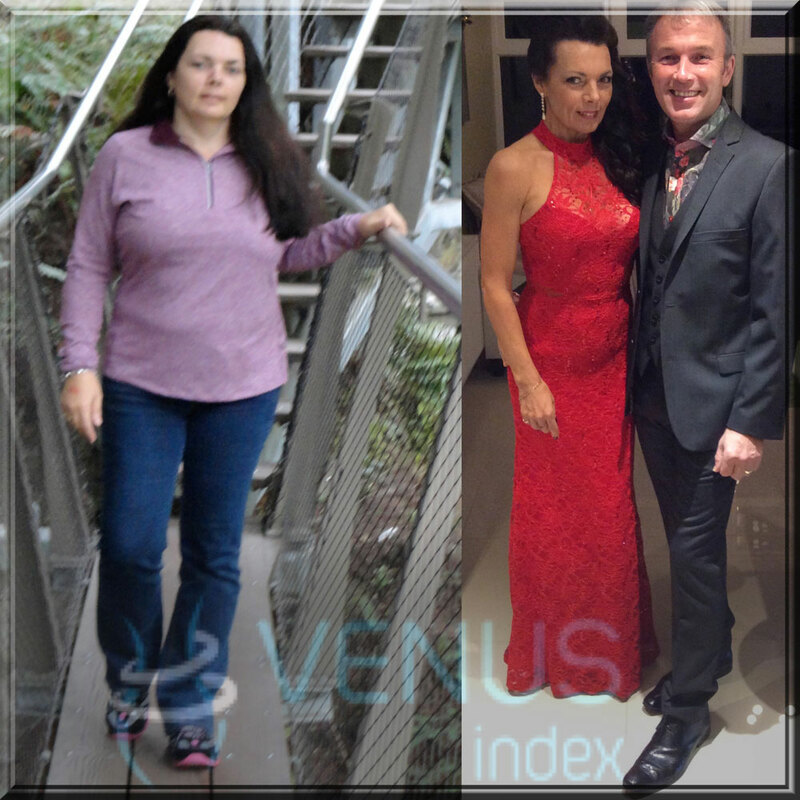 I started reading again how important it is for women my age to lift weights and thought, well you bought the Venus program, let’s do it! And so I did. In the past I must say that I’ve kinda done programs but not exactly followed it exactly. This time, I said I”m all in. And the only reason I entered this contest was the accountability. Someone had to hold my feet to the fire! 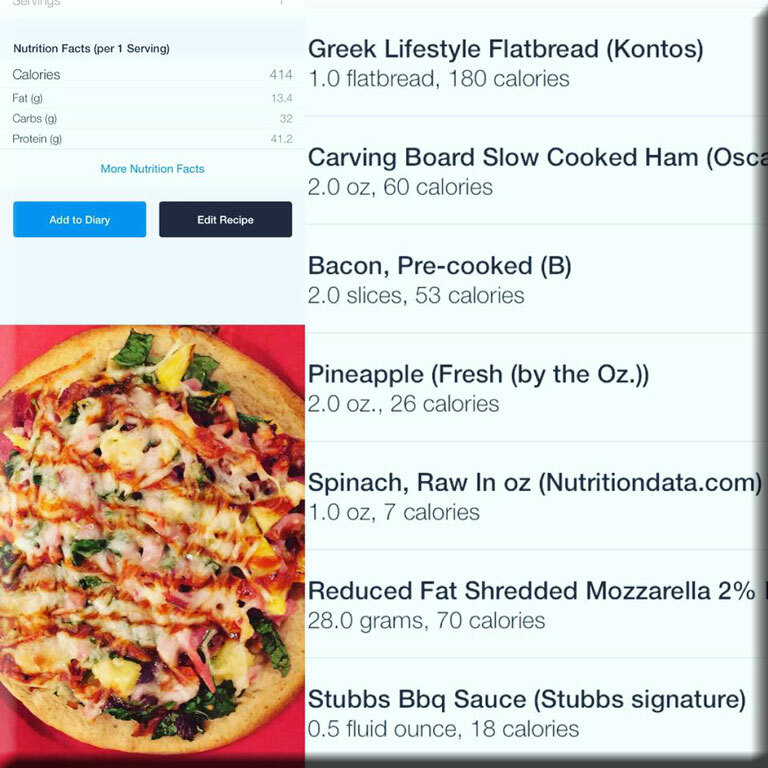 So I started with eating at a deficit at 1200 calories. But then I read how going down to 1000 calories really made a difference. So that’s what I did. But it was much more easily done when I fasted from 8pm to 12 pm. And I found that I sure could work out fasted, it wasn’t that big of a deal. The first 2 weeks I was a bit hungry, but after that I got used to it. Venus taught me that I just ate too much. And drank too much. I really enjoy red wine at night, but those calories sure add up! Increasing my protein helped me be less hungry and have fewer cravings. I was ecstatic when I saw the scale going down. 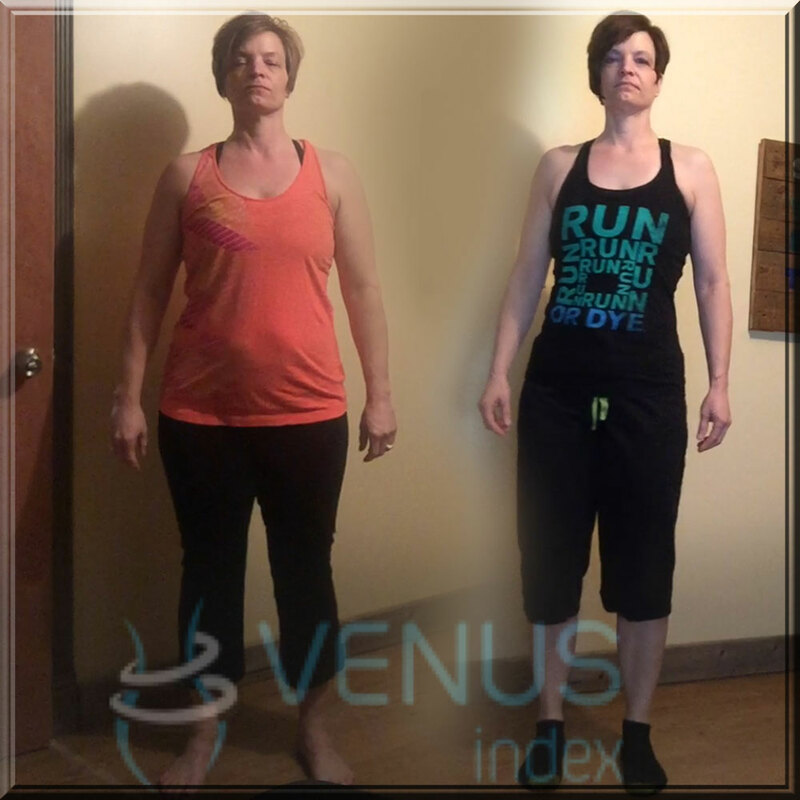 I was blown away when my my waist went down by 2 inches. Woo Hoo! My favorite part- is how I deal with special occasions and going out with friends. Just plan for it. I have fewer calories the day before and less the day after and I can still have a good time and most of all, I don’t feel deprived. This is sustainable and it is my way of life. 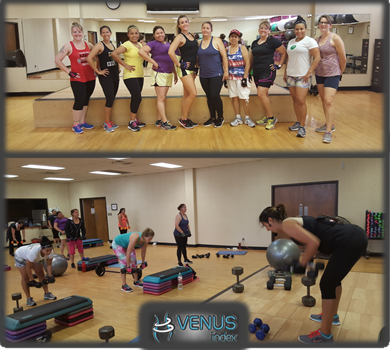 I kept up with HIIT workouts that I love, but have incorporated the Venus workouts 3 days a week. I have never looked and felt better. The workouts are giving the shape to my body that I have wanted for such a long time! I love lifting heavy weights, and it is so empowering! I guess it’s the simplicity of the program that is so mind boggling to me. It just makes so much sense. Eat fewer calories and lift heavy weights. There’s a part of me that’s upset. I mean, I have worked out for years, and not have had these results. Another thing that I did was if I worked out (and somehow thought I exercised 300 calories) then I ate them back! I love that Venus says to forget that! Don’t think about adding back those calories. Because in reality we have no idea how many calories we really burned. Many days too, when I worked out hard, I ate a bit more or had a dessert or had an extra drink because I thought I deserved it. Hey, man, I just worked out! I have lost only 11 pounds but look so much healthier and shapelier. Venus was exactly what I was looking for. I am super happy with my results my I”m not ready for maintenance yet. I can still improve! 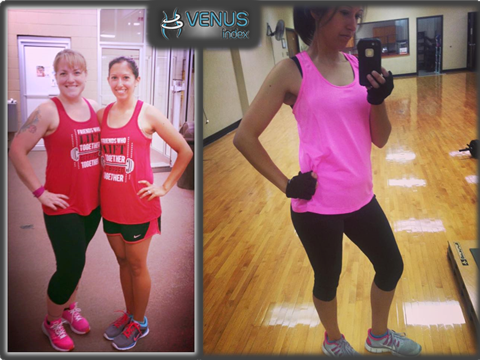 One of the main reasons that I first bought Venus is because I saw Roberta and her amazing body and transformation. She was my age and had muscle! That made me realize that I can still build muscle at my age. 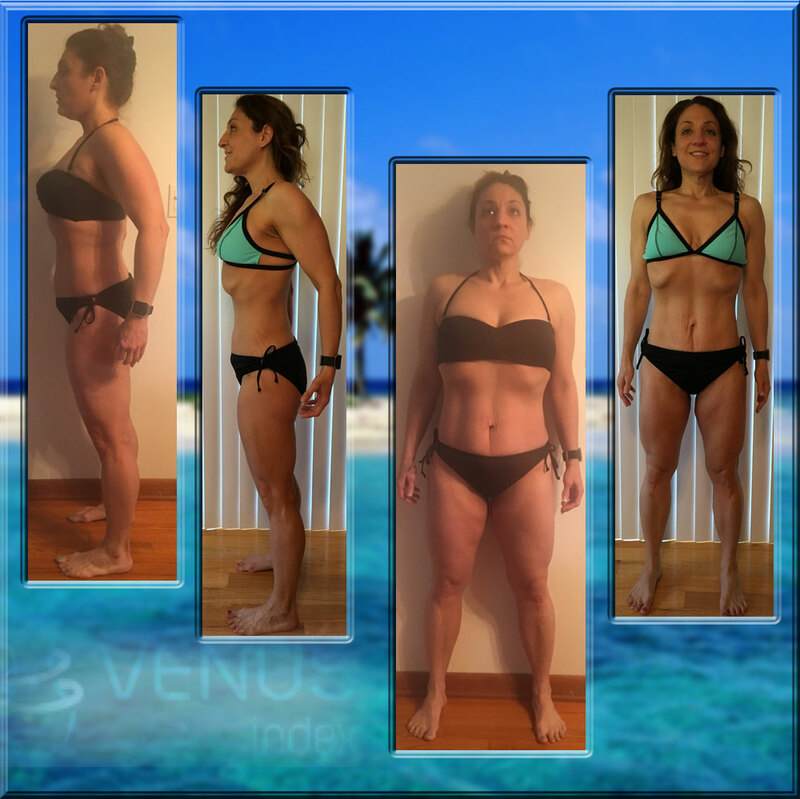 Sandra placed in our last Venus Transformation Contest. The 1st photo is from February 2015 and the 2nd is November 2015. 9 months, 35 pounds and over 3′ (that’s a yardstick) of inches! Am I proud of allowing myself to get in the previous state? No, I’m not! BUT, I am proud of the fact that I made a change! 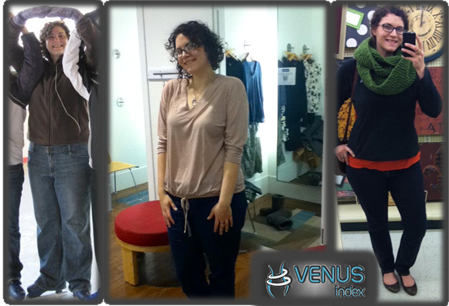 And it’s a change for life…thanks to Venus! 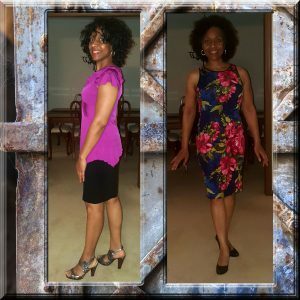 This journey re-stirred a passion of fitness for me and I re-certified to be a personal trainer. 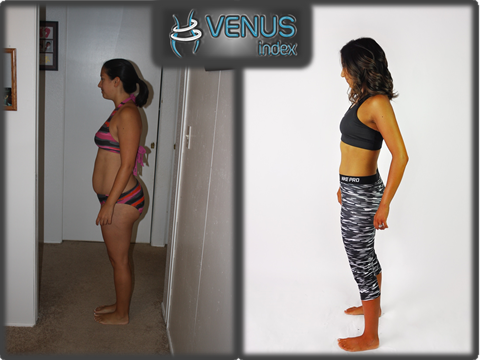 If you would like to lose some weight and/or gain some muscle mass, I will definitely help you achieve your goals! I, like a lot of women, had succumbed to the mindset of…I’m getting older, I have health issues, my metabolism stinks, I’m starting menopause, blah, blah, blah. I had given up and given in to all these excuses. I had had my first knee surgery in 2008, 2nd one in 2009, and the 3rd one in 2011. All of which I gained a few pounds during recovery. In 2012, I went to a neurologist for chronic back pain resulting from an injury in 2010. All the testing he did came back with a result of a high positive FANA, which has to do with your auto immune system. After 2 years, multiple doctors and every test known to man, no one could find anything wrong. But I knew from the “swelling” in my face and body, that something was wrong. Little did I know, or more so, did I want to admit, was that “swelling” was called FAT and that’s what I had become! My wake up call came in February of this year. We had visited some family in Maryland, and of course everyone was taking pictures. My cousin posted a picture on Facebook, and when I saw it, my jaw dropped. But the sad fact of the matter, it WAS me, and it was totally not acceptable any more. Hmmm…$47. I had already spent hundreds if not thousands on HcG, NutriSystem, Hydroxycut, Phentermine, personal training, a myriad of other OTC weight loss products, and other STUFF. What did I have to lose? Some weight? Okay, I’m in. I started Venus at the end of March. When I would meet with my personal trainer, I would tell him, let’s do THIS workout. 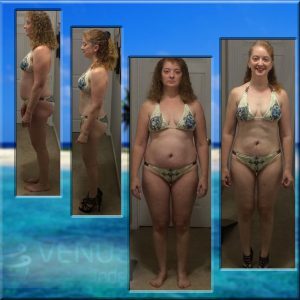 So over the course of the next several months, I was eating at deficit, doing intermittent fasting and doing Venus workouts! The weight and inches started coming off! I was ecstatic! 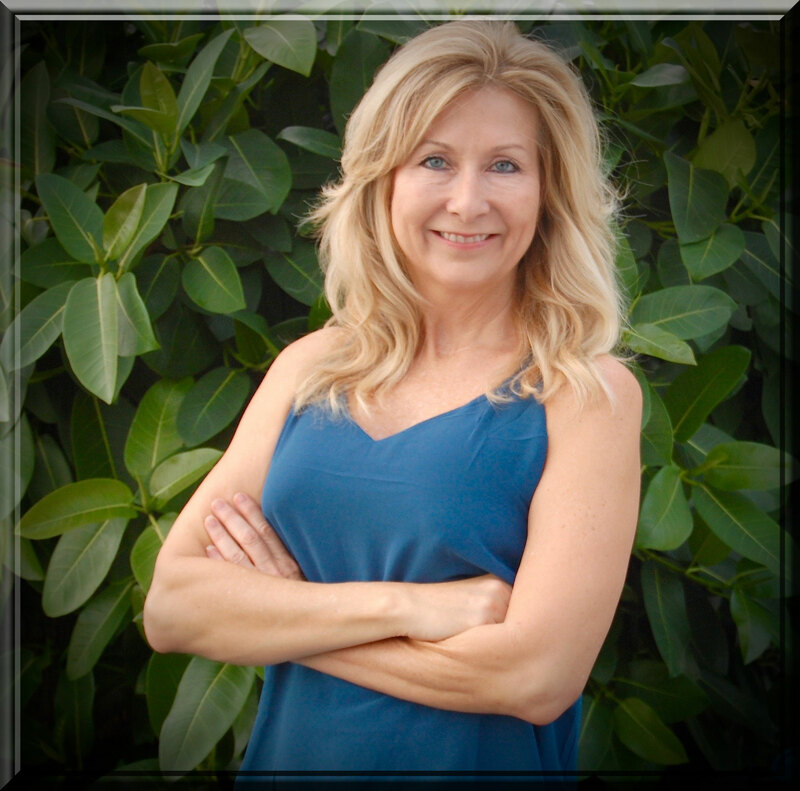 I was no longer experiencing back pain which was HUGE to me! I had thought of doing VT14 but ended up just shadowing it. About this time I had a revelation. In 2008, I had studied and became a personal trainer. However, the economy wasn’t good at that time, so it was a short-lived career. But working out again stirred that old feeling in me of helping others accomplish their goals. I talked with my gym about being a personal trainer and they immediately said yes. They were seeing me transform in front of their eyes. So I re-certified in the summer and started training at the beginning of November. 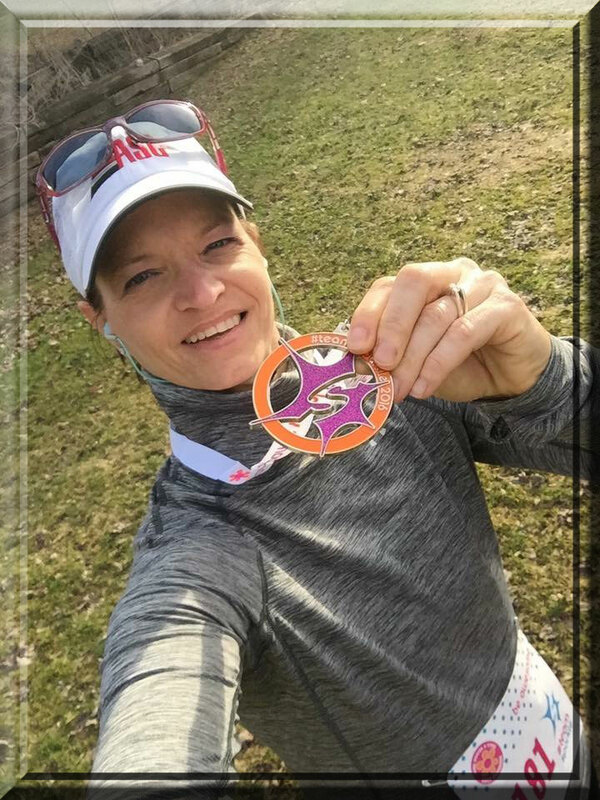 I was once again doing something that I LOVED, and that was helping others achieve their goals! Why have I told you MY story? Because I know if I’m going through it, there has to be one other person that is going through the same thing. And maybe, just maybe, I can help one person. What has Venus done for me? I am so fortunate to have found Venus! It has saved my life! The women I have met on this journey are phenomenal! 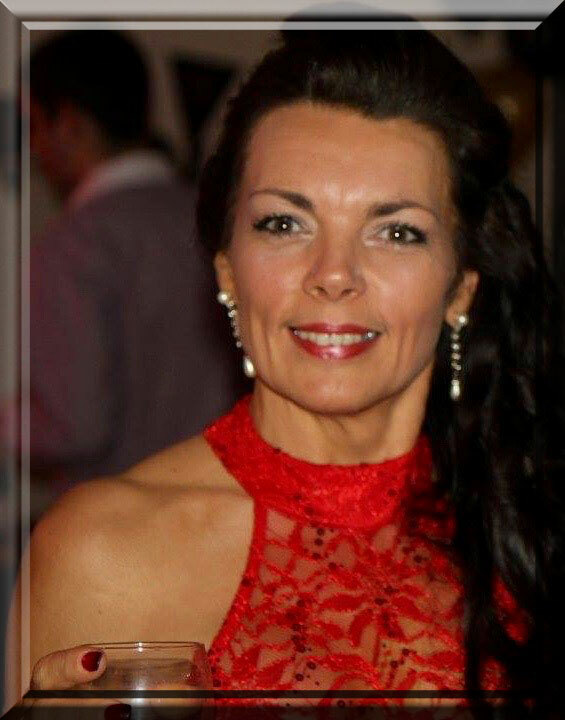 Roberta Saum is the BOSS! 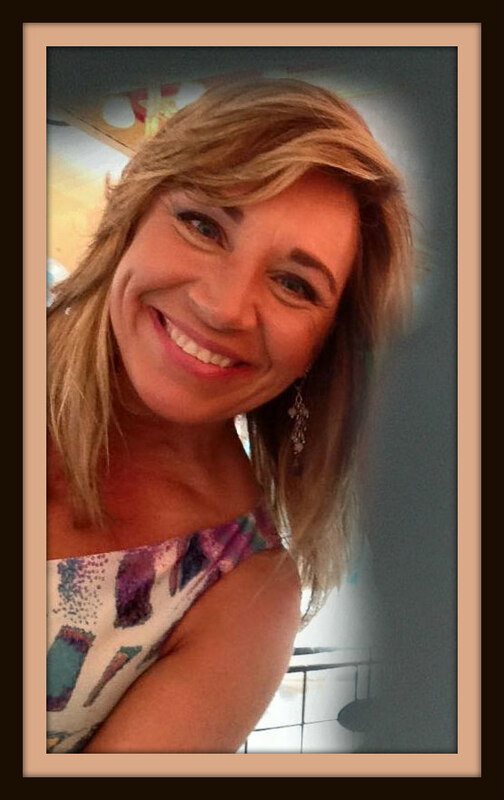 She always provides her selfless time and knowledge to all of us. Even though I have never met any of you, the friendships I have made are insurmountable! 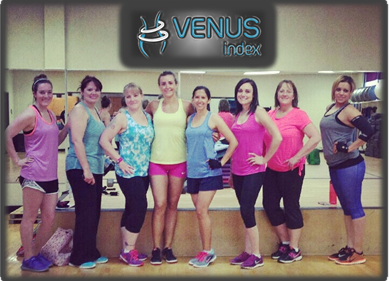 The support of all the women I have met through Venus is beyond words. And the tools that I have obtained…are PRICELESS! 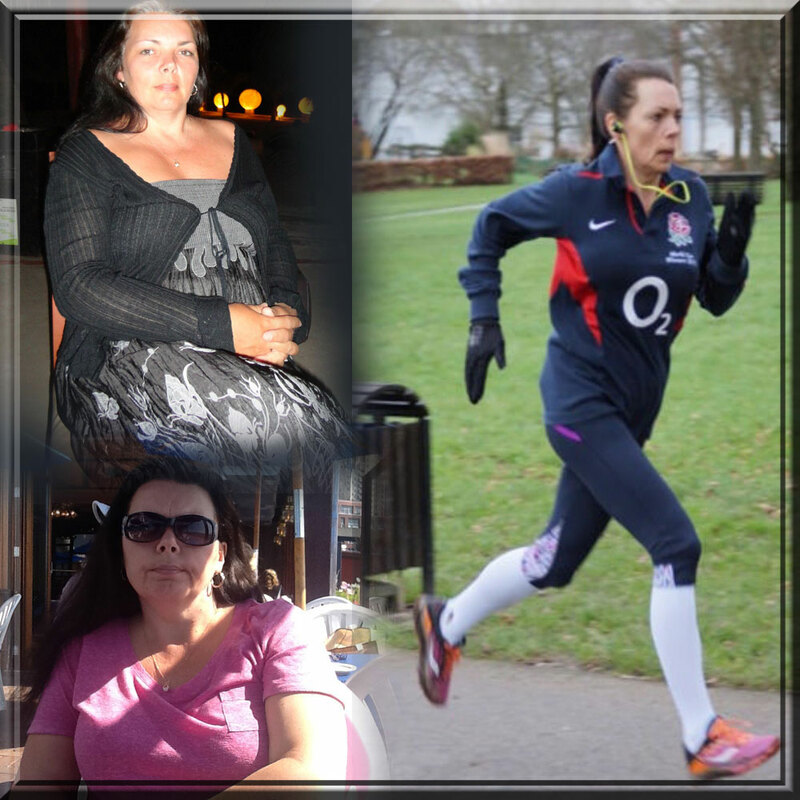 I now KNOW, at the very young age of 50, that I will NEVER be overweight again! 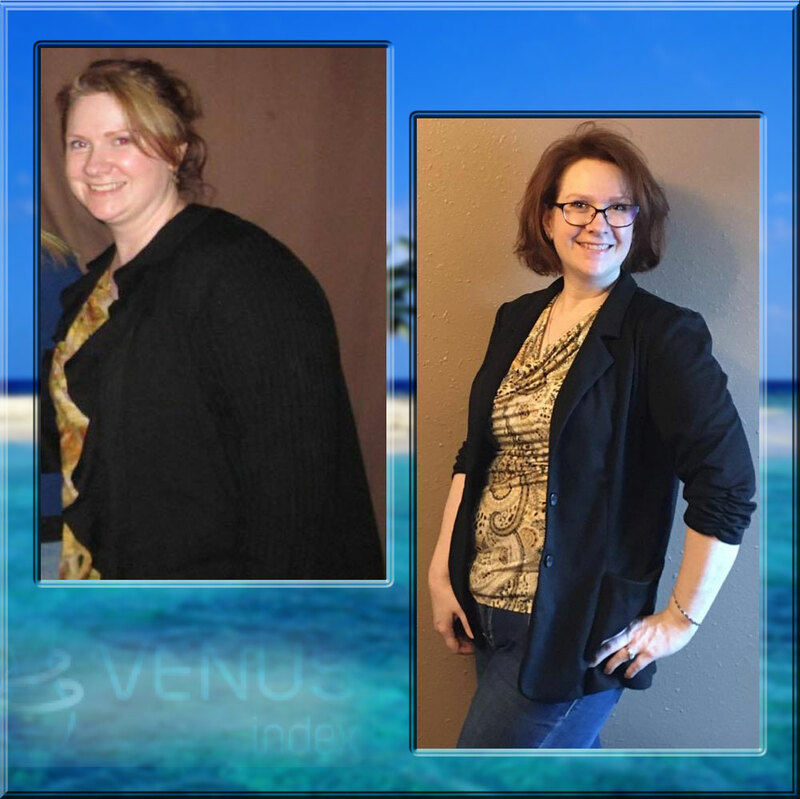 I still have goals that I want for myself and I know that Venus will help me get there! 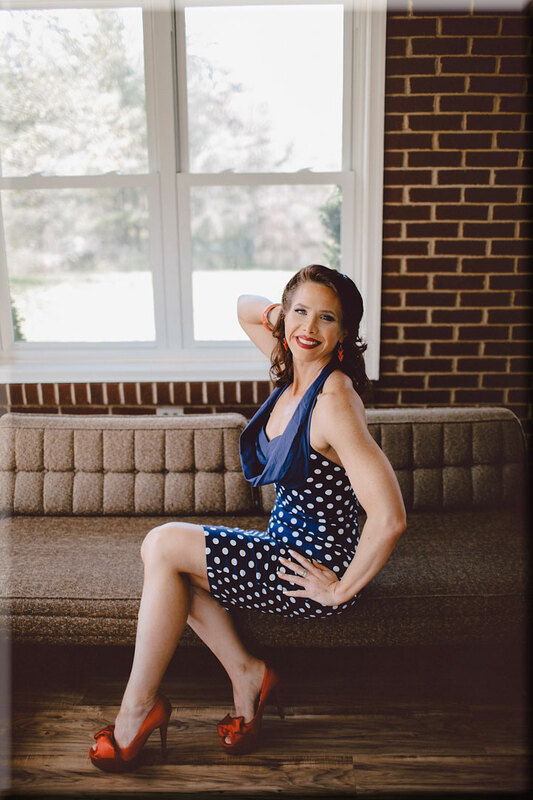 At 50, I AM the BEST I have ever been and I can’t wait to see what else I can do! Thank you John Barban for creating Venus!